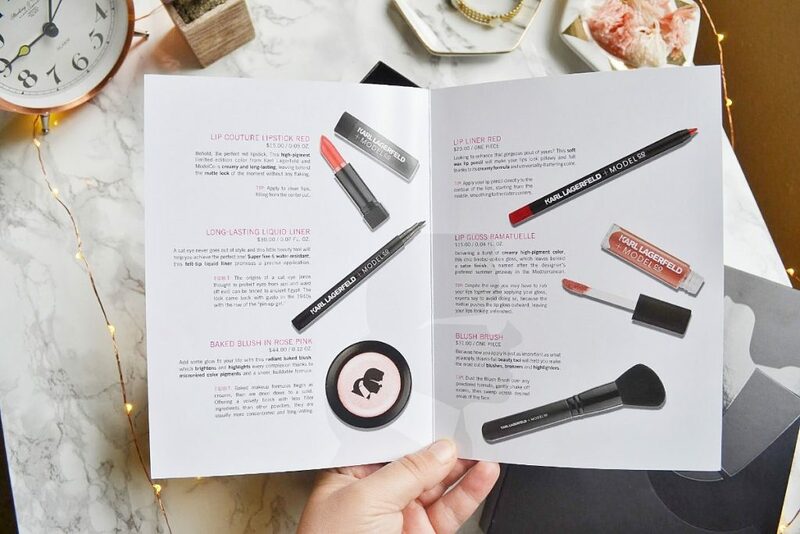 Glossybox is a monthly subscription box that sends out 5-6 full sized or deluxe sample sized beauty products. The value of the items inside is always much higher than the cost of the subscription. 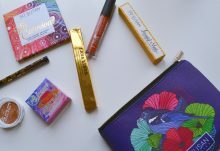 Each month is curated to fit a theme, and you may receive a mix of makeup, beauty tools, skincare, and haircare products. Today, I am reviewing a limited edition box that was released in June 2018. 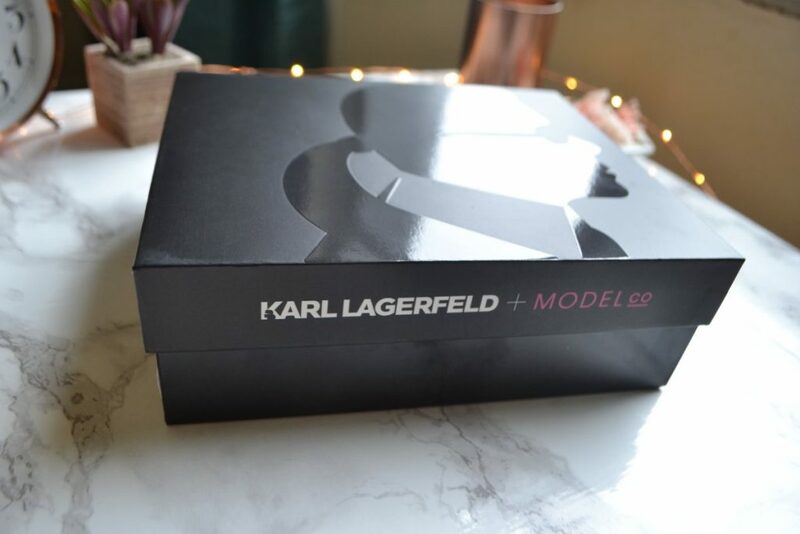 This Karl Lagerfeld + Model Co collaboration box actually costs more than their monthly boxes, and is $35. 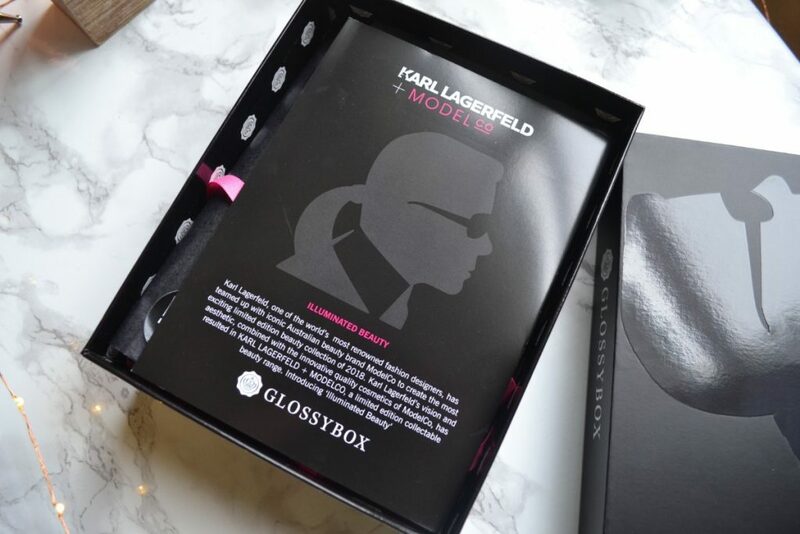 The theme for this collaborative box is “Illuminated Beauty” Karl Lagerfeld, a fashion designer, teamed up with Model Co to create a limited edition beauty collection. 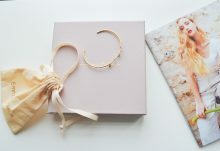 This box contains a mix of full sized and sample sized items from the Illuminated Beauty collection. 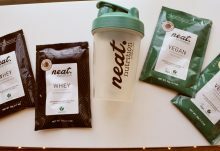 I really liked this month’s packaging! It takes me back to middle school, when my favorite colors were hot pink and black. I received six products in this limited edition box: a lip gloss, a lipstick, a lipliner, an eyeliner, a blush, and a makeup brush. 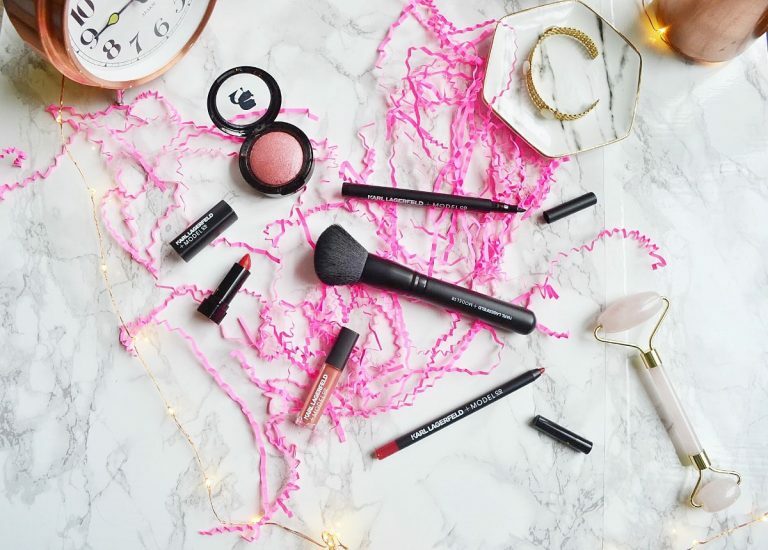 I like receiving makeup more than skincare products, so I’m quite happy to receive such a makeup-heavy Glossybox! 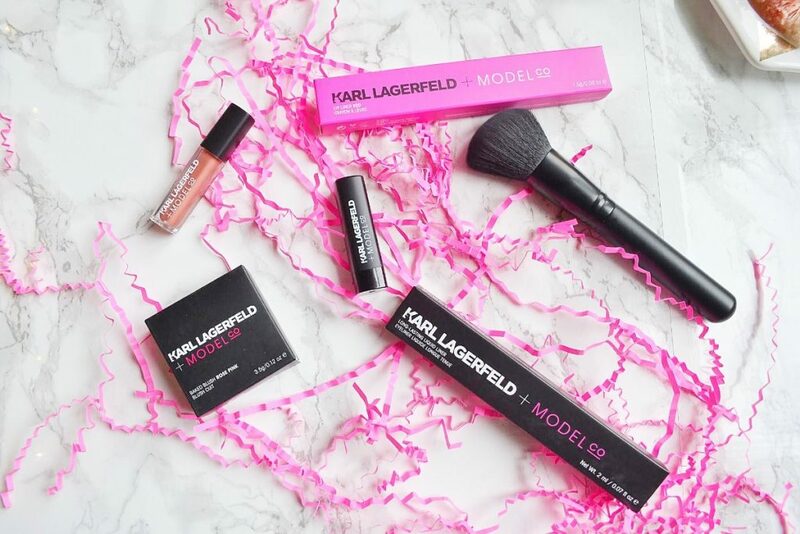 Description: Karl Lagerfeld + ModelCo Baked Blush creates a warm glow to brighten and highlight every complexion. The micronized colour pigments and luxurious pressed powder delivers a sheer, natural radiance that lasts all day. 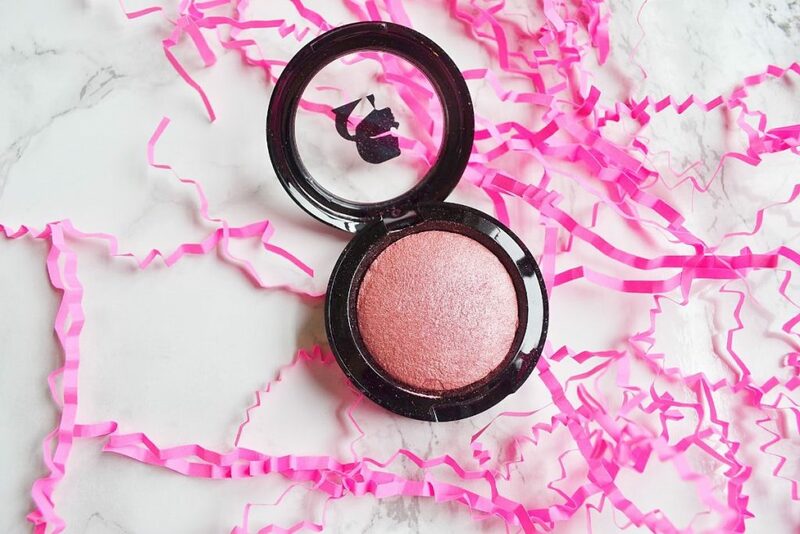 This is definitely the most expensive blush I’ve ever used, but I don’t think it is worth the price tag. It has a pretty rose shimmer, but it isn’t especially pigmented or silky. 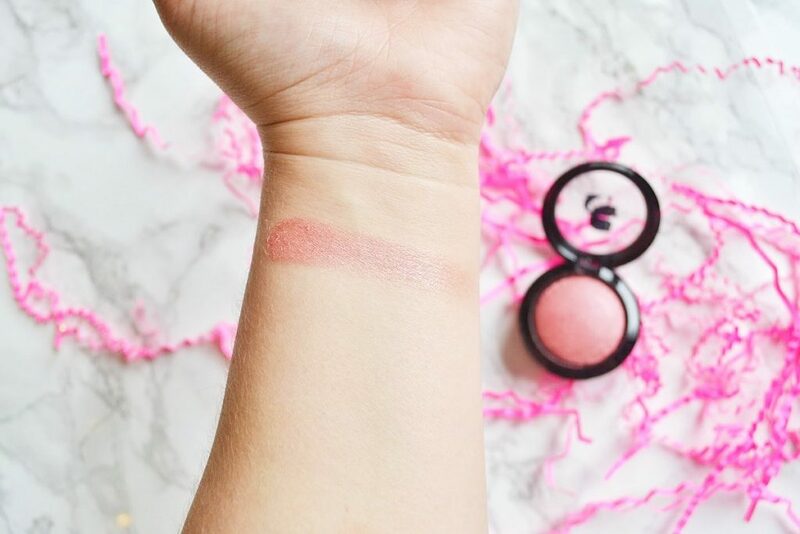 I have used drugstore blushes with better formulas! I do like the baked blush and will continue to use it, but I expected a lot more for a high end product. 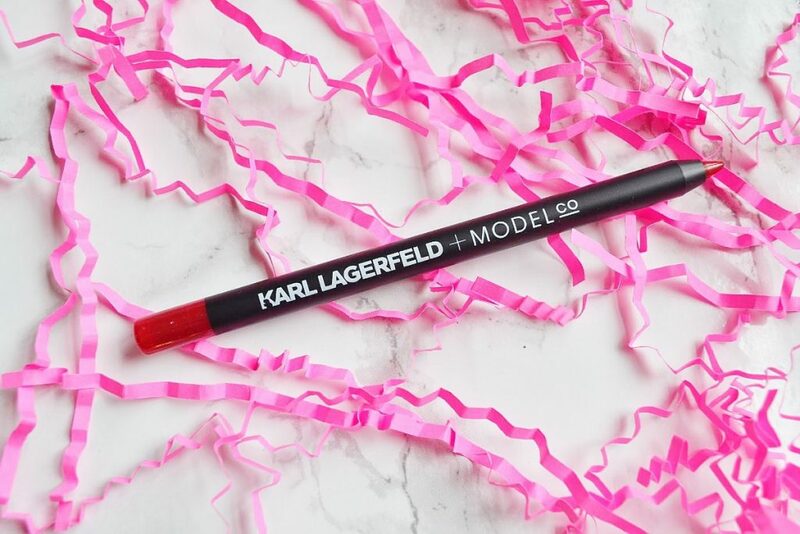 Description: Karl Lagerfeld + Model Co introduce limited edition Lip Couture Lipstick in Red. Lip Couture Lipstick in Red is a full coverage matte lipstick with long-lasting, high-pigment colour. The nourishing and creamy formula provides a rich, matte coverage. 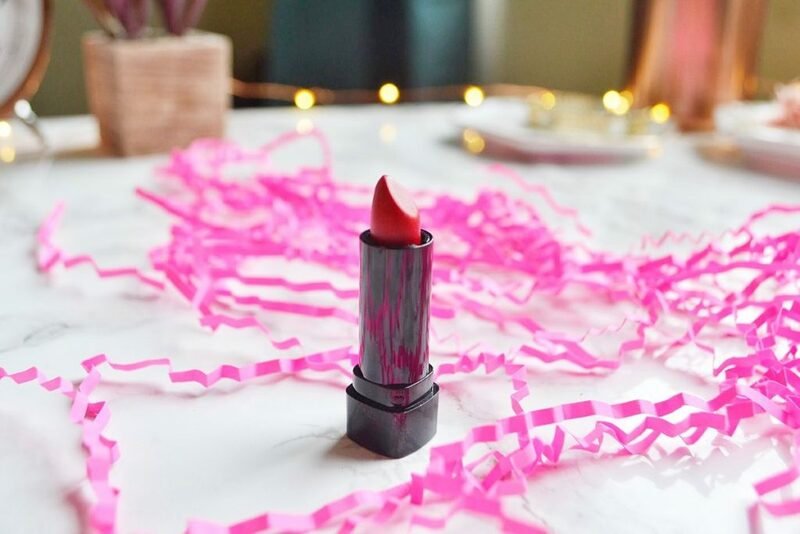 This red lipstick is such a gorgeous shade! It seems to be blue-based, which is my favorite type of red. Unfortunately, the quality of the lipstick is not up to par. I don’t know if it’s because it’s sample size, but the stick tugs on my lip skin which causes a messy application. 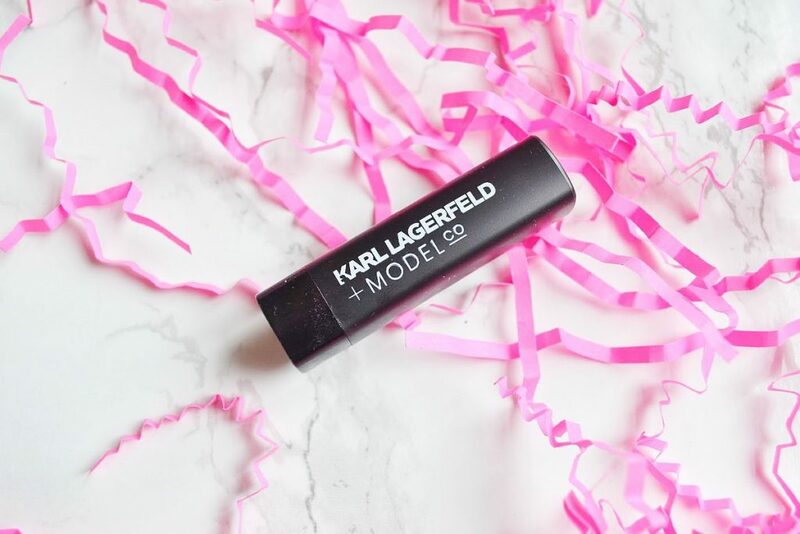 Description: Enhance and define your lips with KARL LAGERFELD + MODELCO Lip Liner. 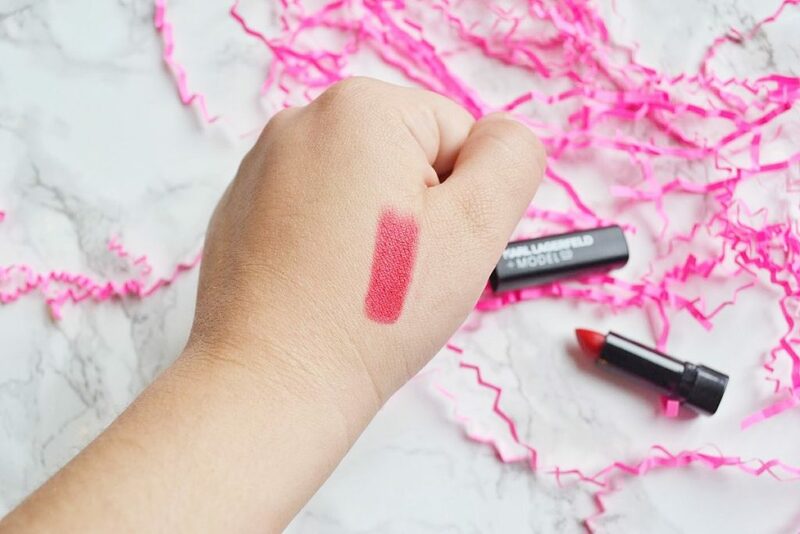 This soft wax pencil allows you to create the perfect pout by giving the illusion of natural, fuller lips. 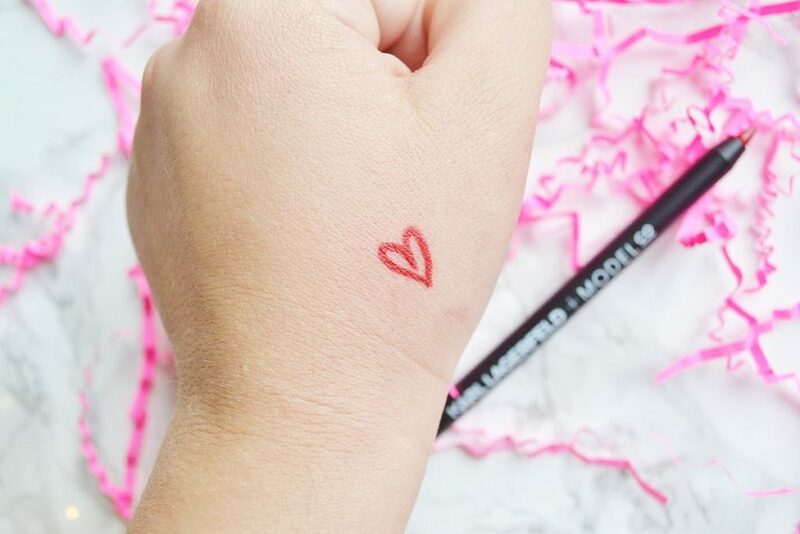 I am in love with this lip pencil! The wax is soft enough to glide on smoothly, but firm enough to create a defined line. It is creamy, long lasting, and keeps my lipstick in check. This is definitely worth the price, and this alone is worth almost the entire cost of the subscription! 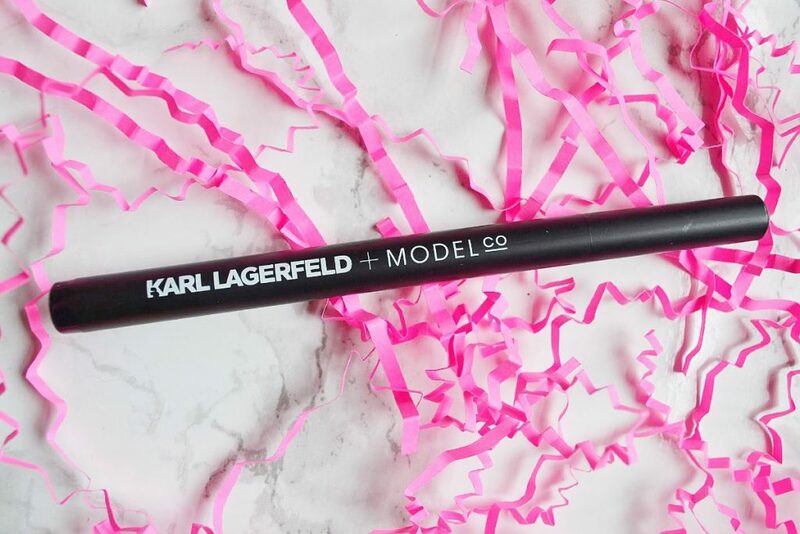 Description: Super fine, water-resistant, felt-tip liquid liner that allows for precision application. 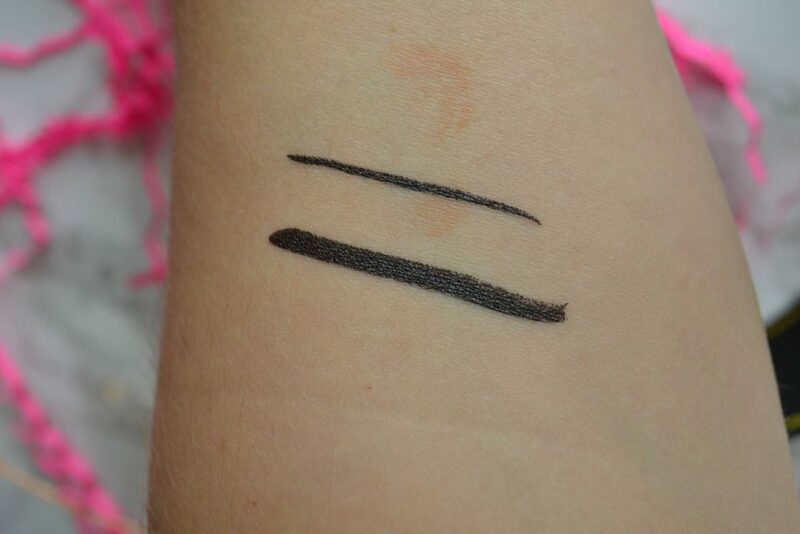 This eyeliner is another winner for me. 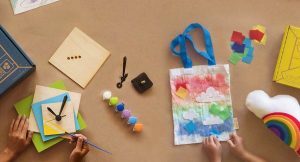 It’s tip has an innovative design that lets you easily create a thin or thick line. 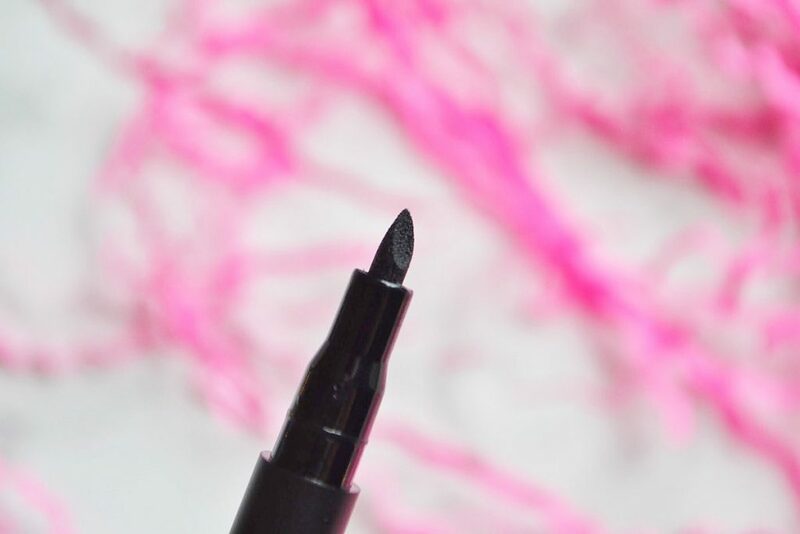 The liner glides smoothly, doesn’t smudge, and is nearly waterproof! 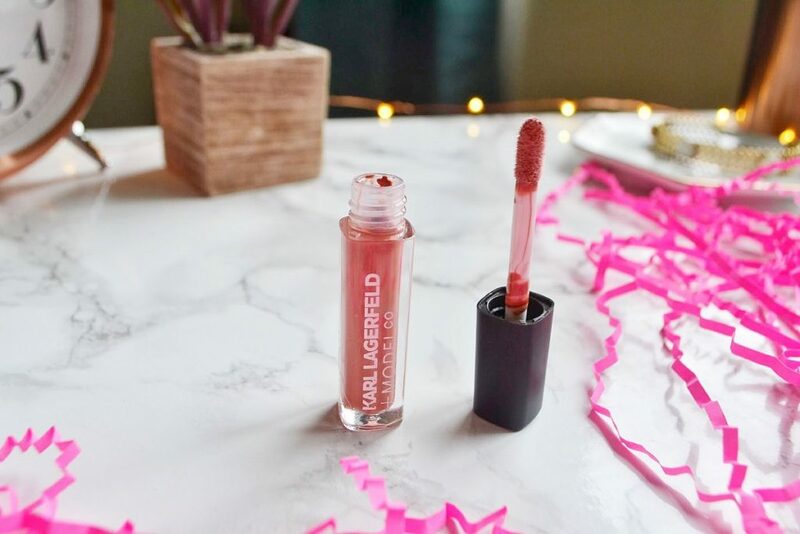 Description: Delivering a burst of creamy high pigment color, the chic limited edition gloss, which leaves behind a satin finish, is named after the designer’s preferred summer getaway in the Mediterranean. 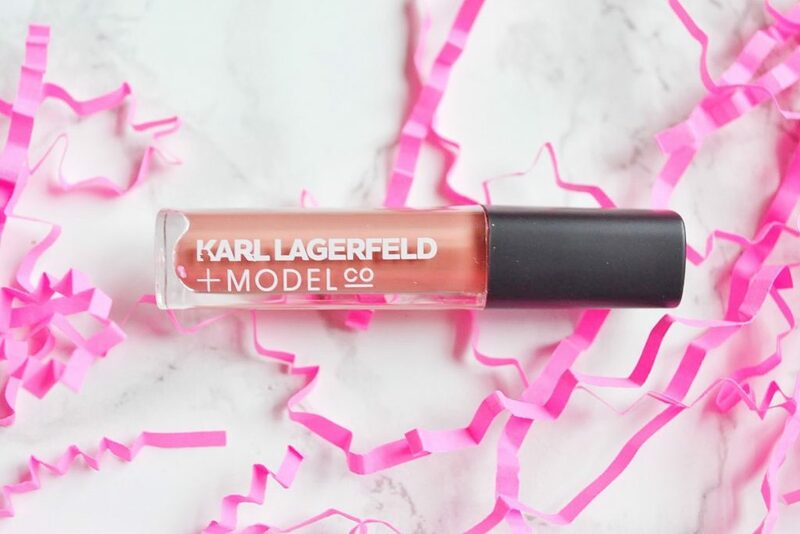 This gloss is a gorgeous rose cold color, and has beautiful shine! It’s glossy, but manages not to be sticky. It does have a weird plasticky smell, but I can live with that. 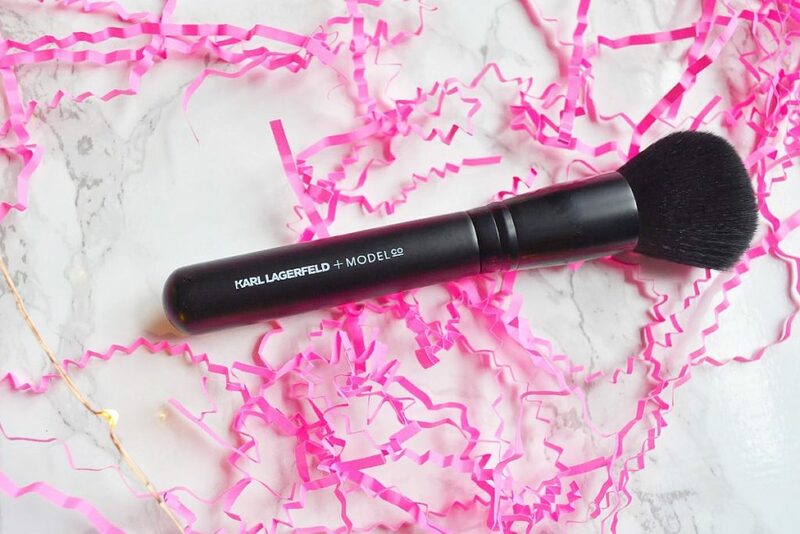 Description: The Karl Lagerfeld + Model Co Blush Brush is ideal for flawlessly applying bronzer, blush, powder, and shimmer products. I am a bit of a brush hoarder, and I’m excited to add this to my collection! 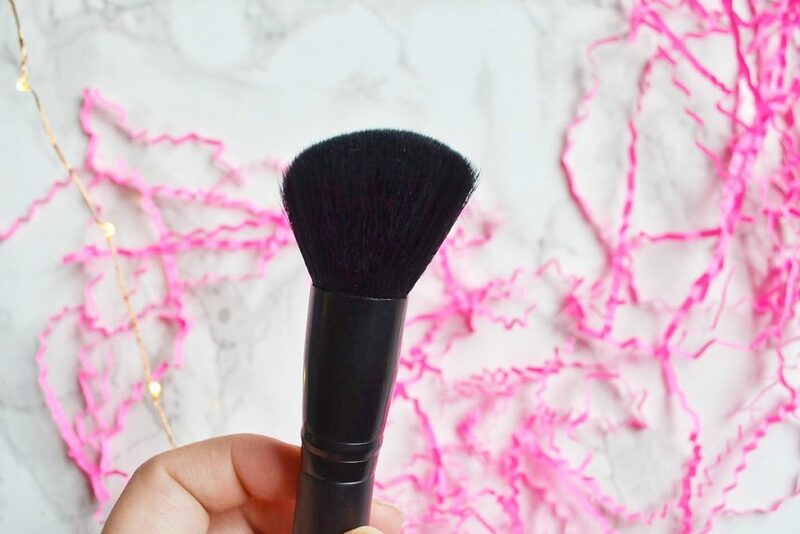 It is supposed to be a blush brush, but I have used it for powder, foundation, and bronzer – as well as blush. It blends evenly, and feels so soft on my face. Love it! 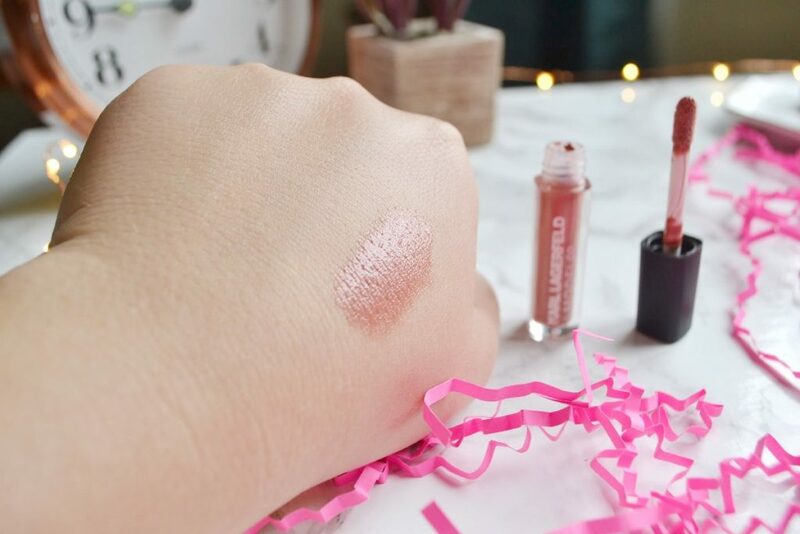 We got off to a rough start with the blush and lipstick, but I loved the rest of the products! The packaging felt cheap, but the quality of the lip liner and eyeliner was very impressive. The total value of this box is $164! Wow! I would recommend purchasing this box, mainly because the good products are worth more than the total cost of the box. Trust me, you will love the liners.